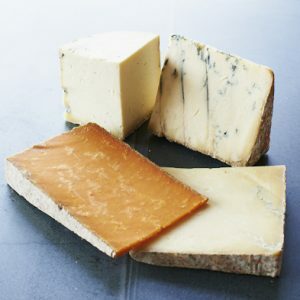 Richard III Wensleydale cheese – buy online from The Courtyard Dairy. Originally (pre-13th century) Wensleydale would have been made with sheep’s milk. An ancient Wensleydale recipe that produces a moister, less-crumbly, acidic cheese. 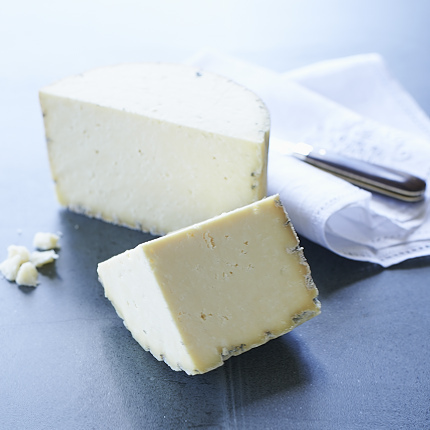 At The Courtyard Dairy it is sold in the traditional manner at one month old, Richard III Wensledyale flavour is clean and light with a gentle, milky and lemony flavour. Made to a traditional pre-war recipe, Andy Ridley’s Richard III Wensleydale Cheese is one of the only artisan-produced Wensleydale cheeses available. 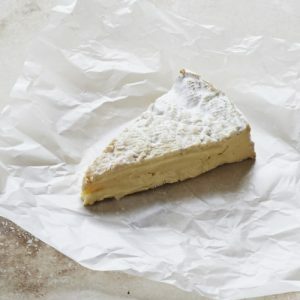 Suzanne Stirke recreated a classic Wensleydale cheese in the early 1990s. Most of the modern industrial production had turned to ‘faster-make’, which produces a drier, more crumbly, acidic Wensleydale. Suzanne Stirke discovered her grandmother’s cheese-making notes for Wensleydale in the attic, and decided to recreate Wensleydale cheese as it would have once been. Thus Richard III Wensleydale was created (named because Suzanne’s original dairy – Fortmayne Dairy – was based near Middleham, which was the childhood home of the future Richard III). Andy Ridley worked for Suzanne for years before taking on the business himself in 2011. Since then his traditional fresh Wensleydale has continued to improve, as production has moved to Sandhams. At The Courtyard Dairy Richard 3rd Wensleydale is sold at barely a month old, ensuring it is zesty, fresh and clean. Wensleydale was originally a sheep’s milk cheese – it is said that production of Wensleydale started at the request of William the Conqueror who wanted a sheep’s milk cheese similar to Roquefort. Production was carried out by monks at Jervaulx Abbey, spreading from there throughout the dales up to Teesdale and down to Bolton Abbey (production also being at Fountains Abbey and Fors Abbey). 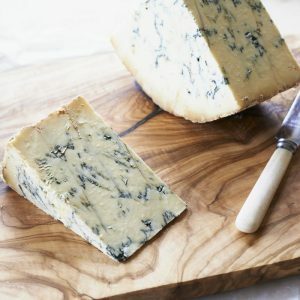 It would have been an open-textured cheese and often blue. With the dissolution of the monasteries the recipes for making cheese passed into the farmers’ hands, as they continued to make the dales cheeses. As the country moved towards cow dairy farming in the 17th-century, the rolling topography of the northern dales meant they weren’t suited to the large dairy herds that were found in the south. 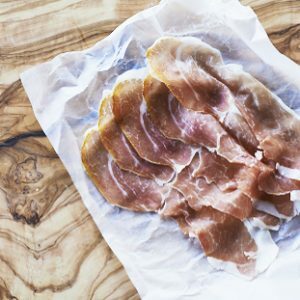 Instead, small quantities of cheese were made simply (by letting milk go sour) and eaten young, as sustenance to feed the farmer and his family. It is for this reason that the fresh, crumbly cheeses came to be so well associated with this area. The majority of Wensleydale was consolidated when a local cheese-factor set up a dairy in Hawes so he could produce his own cheese and control quality, serving to move cheese production of Wensleydale away from the farms. This creamery still exists to this day and makes very fine cheese (Wensleydale Creamery), yet a few small Wensleydale cheese producers continue to exist, of which Fortmayne Dairy is one. 100g in total of cheese per person for consumption after a meal. For comparison, 250g is similar in size to standard pack of butter.